What Will You Get from an ANP Conference Experience? Gain a more informed perspective on our modern predicament- Identify and understand some of the key challenges we face – including some surprises – and discover innovative options for dealing with them. Sharpen your strategic skills of discernment and critical thinking– Improve your ability to spot deception and propaganda to immunize yourself against confusion and dis-empowering programming. Participate in a supportive environment to cultivate courage-through-knowledge– The power we have as individuals is greater than we know, and it’s amplified significantly when we join with others. Join a network of new friends– Connect with like-minded people and supportive resources, engaging in a community of forward-thinking collaborators committed to vital change. 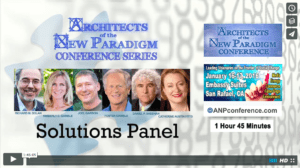 The Architects of the New Paradigm Conference Series (ANP) produces high-quality events bringing together some of today’s most accomplished visionaries to present a fresh approach to the world’s critical challenges. The annual events are designed to build upon each other, taking a blinders-off approach to identifying the root causes of the challenges, balanced with innovative and practical solutions. Presenters are chosen for both their expertise and presentation skills, and their significant contributions to advancing humanity’s evolution. 2017 ANP Conference featuring interviews with attendees and presenters including Foster Gamble, Nassim Haramein, and Mary Ruwart. 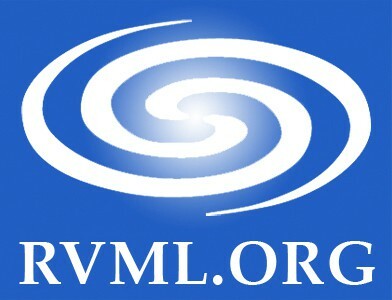 The Architects of the New Paradigm Conference Series is produced by the volunteers and staff of RVML Community Resource Center, a 501c3 Nonprofit Organization producing events and operating a lending library in Ashland, OR since 2002.